Abstract : Cloth dynamics plays an important role in the visual appearance of moving characters. Properly accounting for frictional contact is of utmost importance to avoid cloth-body penetration and to capture folding behavior due to dry friction. We present here the first method able to account for contact with exact Coulomb friction between a cloth and the underlying character. Our key contribution is to formulate and solve the frictional contact problem merely on velocity variables, by leveraging some tools of convex analysis. 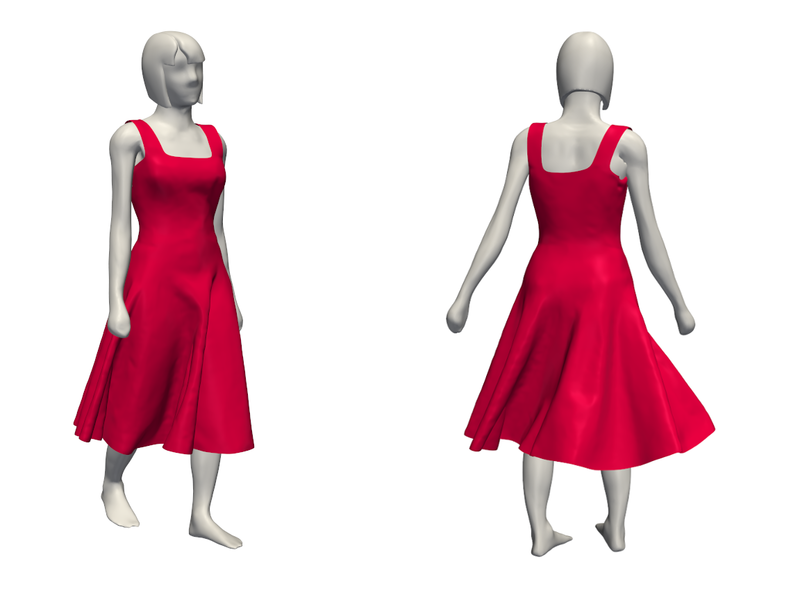 Our method is both fast and robust, allowing us to simulate full-size garments with more realistic body-cloth interactions compared to former methods, while maintaining similar computational timings.